Thailand's capital Bangkok boasts the rather unwieldy official ceremonial name Krungthepmahanakhon Amonrattanakosin Mahintharayutthaya Mahadilokphop Noppharatratchathaniburirom Udomratchaniwetmahasathan Amonphimanawatansathit Sakkathattiyawitsanukamprasit. Long, but lots of words right? Here are the longest single word place names. 11. Muckanaghederdauhaulia is the longest place name in Ireland with 22 letters. From Muiceanach idir Dhá Sháile meaning "pig-marsh between two saltwaters". Possible longer names have recently challenged Muckanaghederdauhaulia's status. More here. 10. Gasselterboerveenschemond has the longest placename in Holland: 25 letters. 9. Mamungkukumpurangkuntjunya is a hill in the Aussie Outback. It is the longest official place name in Australia, with 26 letters. 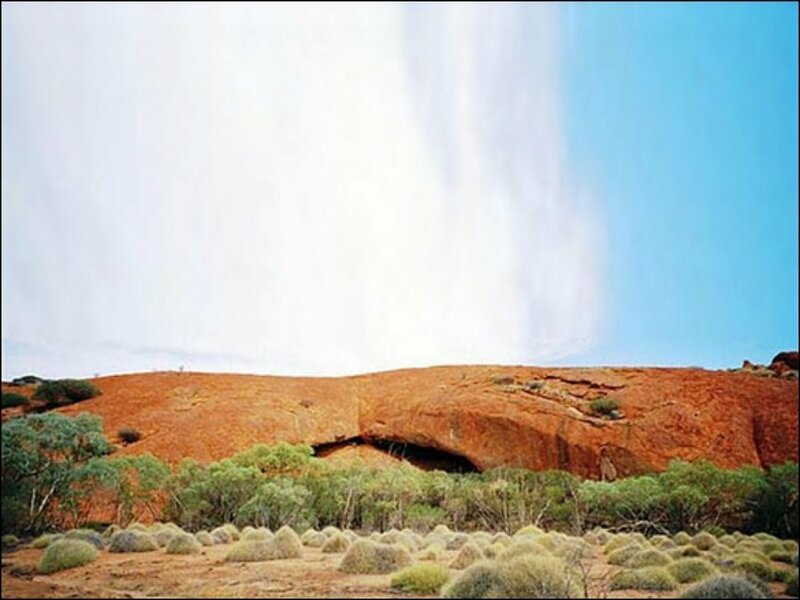 The name means "where the devil urinates" in the local Pitjantjatjara language. 8. Venkatanarasimharajuvaripeta in Andhra Pradesh has the longest placename in India, with 28 letters. 7. Pekwachnamaykoskwaskwaypinwanik Lake has the longest place name in Canada, with 31 letters. According to John Robert Colombo's book 1001 Questions About Canada, the name is Cree for "where the wild trout are caught by fishing with hooks." 6. Äteritsiputeritsipuolilautatsijänkä is the longest place name in Finland, and the second longest in Europe, with 35 letters. 5. Tweebuffelsmeteenskootmorsdoodgeskietfontein is a farm in the North West province of South Africa with a 44 letter place name. The name is Afrikaans for "The spring where two buffaloes were cleanly killed with a single shot". The literal translation is "Twee buffels" = "Two buffaloes", "met een skoot" = "with one shot"; "morsdood" = "stone dead"; "geskiet" = "shot"; "fontein" = "spring" or "fountain". 4. Lake Chargoggagoggmanchauggagoggchaubunagungamaugg is the USA's longest place name, with 45 letters. The lake's name comes from Nipmuc, an Algonquian language, and is said to mean, "Fishing Place at the Boundaries - Neutral Meeting Grounds". 3. Llanfairpwllgwyngyllgogerychwyrndrobwllllantysiliogogogoch boasts the UK's longest place name, with 58 letters. The name means: St. Mary's Church (Llanfair) in the hollow (pwll) of the white hazel (gwyngyll) near (goger) the rapid whirlpool (y chwyrndrobwll) at the church of St. Tysilio (llantysilio) with a red cave (gogo goch). Llanfair offers numerous photo opportunities. 2. Taumata­whakatangihanga­koauau­o­tamatea­turi­pukakapiki­maunga­horo­nuku­pokai­whenua­kitanatahu is the 85 letter Māori name for a hill, 305 metres high, overlooking Hawke Bay, New Zealand. The name translates roughly as “The summit where Tamatea, the man with the big knees, the climber of mountains, the land-swallower who travelled about, played his nose flute to his loved one”. Tamatea is listed by Guinness World Records as the world's longest place name. Fitting the entire sign in a photograph is a challenge. An earlier version of this post did not properly cite the source of the Cree definition of the longest place name in Canada.